Have you ever dreamed of animating web pages with CSS? It is now possible with the advancement in CSS with CSS3. With CSS, you can get animation in a web page without getting much involved in the technical difficulties. This article gives you a list of CSS animation software, to help you select the best. 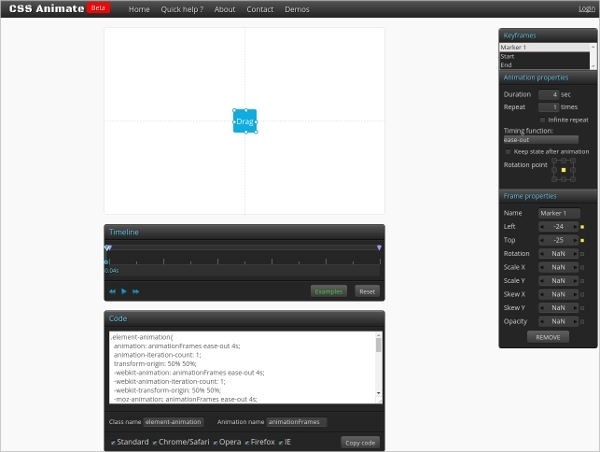 CSS animate is a simple to use software, with a clean GUI. This software will give a bunch of features, including, defining opacity, rotation, defining timing, and variation of timing. You can also opt for having infinite repetitions to let the animation run continuously to judge the correctness of animation. With the GUI, you can create whichever animation you like, and the code will be generated below the animation, you can just copy and paste for whichever browser you like. 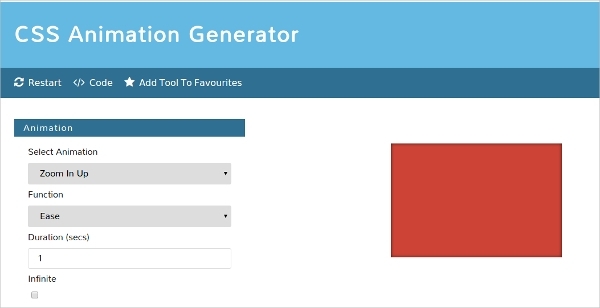 CSS3 Animation generator generates the HTML and CSS codes in the time you preview your animation. CSS3 Animation supports Firefox 5.0+ , Safari 4.0+ , Chrome 4+ , Opera 11.1+. Features supported by this software include scaling, translation, rotate, skew. You can define time duration as well as time variation pattern, linear or ease as per your choice. This software has got free animation templates predefined for you to use them directly. You can download this software freely from Github. This software will offer you a huge list of features including both static and dynamic effects as puffIn, puffOut, vanishIn, vanishOut, openDownLeft. You can also rotate, slide the object. This software has many more effects to offer you. You can also use swashOut, swashIn, foolishOut, foolishIn and holeOut. 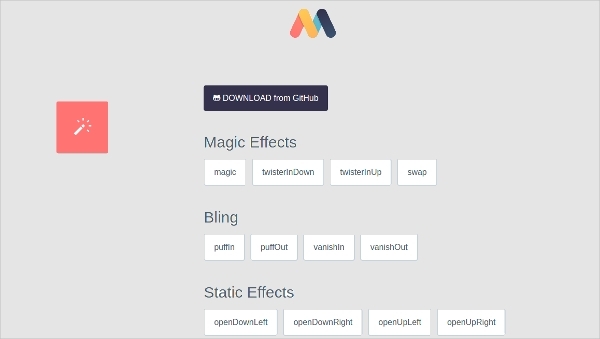 CSS Animation generator will offer you some rich features for a free trial, including bounce, bounceIn, bounce out etc. Not only bounce, the list continues with fade, flip, rotate, shake, swing, tada, wiggle, wobble, pulse, hinge. You can also use the different easing options, such as ease, ease in or ease out or linear. The feature available are enough to impress you for spending few bucks on this software. Google web designer is CSS animation software built natively for Windows. This software is developed to advanced level, you will require almost no coding if you are opting for this software. This software features predefined events, also gives you the ability to create your own event to be used as animation. You can also create 3D animations with the use of CSS3. 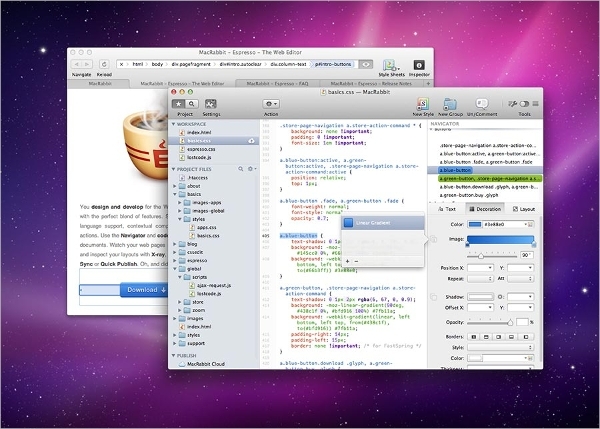 Mac Rabbit is CSS animation software specifically built for Mac OS. You can try this software before spending on it. Priced slightly higher than similar software, with a reason behind it, this software has the perfect blend of features to save your time and to have professional looking animations. Smart snippets, code sense, code folding, zen coding, drag and drop support are some of the features included in the software. 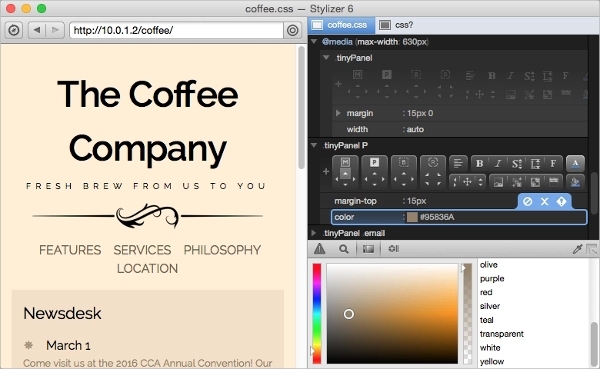 Stylizer is the most popular CSS animation software. The rich feature list of this software includes spacebar (point, click, and code). An immediate preview is generated, as soon as you type and move your mouse to other location, a preview is generated and gets displayed. Side by side pane for different browsers gives a view of all browsers simultaneously, saving more time. You can try this software before buying. What is CSS Animation Software? 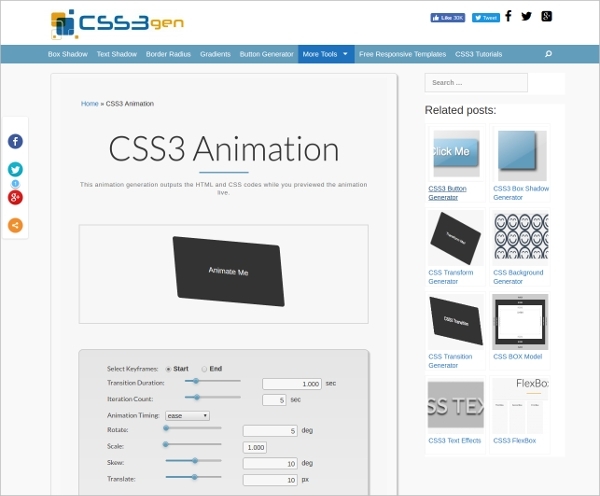 CSS Animation software is designed to help you create animation for the webpage. 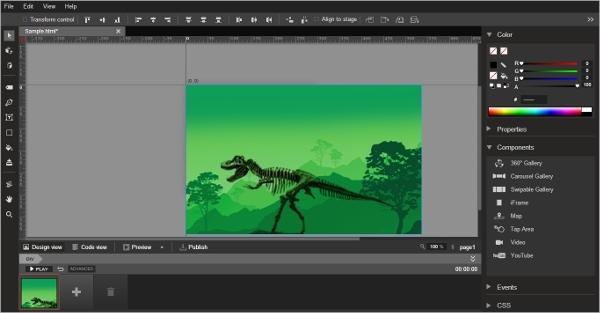 These software are designed to help you creating animations with, and generate a code for it. The generated code can be used on the specific browser for which the code is generated. If you are professional and looking for saving some time for utilizing on another task, you can have a paid, full featured software. The free software in the above list have enough features for you to have basic animations. But, for professionals, going for a paid software, will give high flexibility and also save your time. Few software offers you a free trial period to judge the software before purchasing.